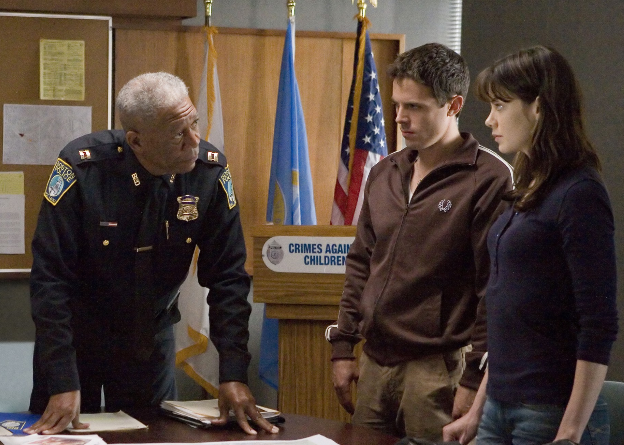 Gone Baby Gone is one of Dennis Lehane’s Boston-based detective novels featuring Patrick Kenzie and Angie Gennaro. It must have seemed a bit of a gift for Ben Affleck, making his directorial debut, to be able to use such strong source material and a great cast, as well as to film it in his own backyard. However no-one could have expected Affleck, lightweight leading man, to make one of the best thrillers of recent years. Affleck’s brother Casey plays working-class detective Kenzie, and Michelle Monaghan his on/off girlfriend/partner, and the story involves them in a search for a small girl, apparently kidnapped from her junkie mother. Needless to say, it’s not quite as simple as that, and the search leads them through a complex plot to a genuinely devastating finale, giving the title a whole new spin. Affleck has to jump through a couple of plot hoops to get there, but it’s one of the few recent movies that actually leaves you with a lot to think about, and does this without preaching at you (take notice Clint Eastwood) or patronising its working class characters (another one for Clint). postit The two leads both do so well that they get away with being about 10 years too young and 30 pounds too light for the parts created by Lehane. The rest of the cast is equally impressive, though you’d expect nothing less from Ed Harris and Morgan Freeman, and although Amy Ryan got most of the plaudits and an Oscar nomination for playing the hideous mother, there are small but important contributions from Amy Madigan (Mrs. Harris) and Titus Welliver as her relatives. Harry Gregson-Williams’ score is elegant and manages to underscore the emotions without being obtrusive, and John Toll similarly makes Boston look good but not too good. It all adds up to a knockout debut from Affleck, pitching him right into the top league of directors from a standing start. It’s just unfortunate that the book is the fourth in the Lehane series, making it a bit tricky to spin off into a franchise, then again it’s probably best left alone. At the time of writing, Lehane has just published a 15-years-later sequel to Gone Baby Gone, acting as a finale for Kenzie and Gennaro, so you never know.